Here's a fact: Buster loves beef! And lots of it! 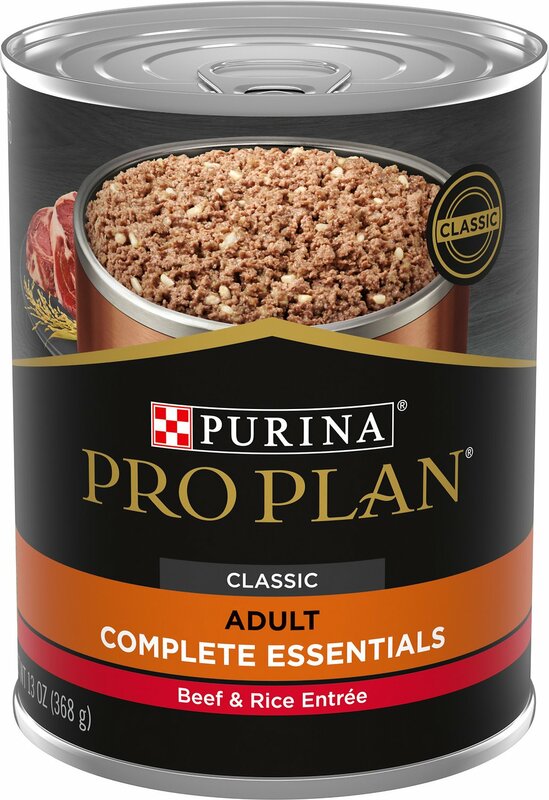 Purina Pro Plan Savor Adult Classic Beef & Rice Entree Canned Dog Food packs plenty of tender, protein-rich beef and energy-giving rice into every single bite. This adult-specific formula has added biotin to keep the skin and coat healthy and carrageenan to boost the immune system in aging pets. Beef, Water Sufficient for Processing, Liver, Meat By Products, Chicken, Rice, Guar Gum, Potassium Chloride, Added Color, Salt, Carrageenan, Calcium Carbonate, Vitamin E Supplement, Zinc Sulfate, Calcium Phosphate, Ferrous Sulfate, Choline Chloride, Niacin, Thiamine Mononitrate, Copper Sulfate, Calcium Pantothenate, Manganese Sulfate, Pyridoxine Hydrochloride, Vitamin B 12 Supplement, Riboflavin Supplement, Vitamin A Supplement, Folic Acid, Vitamin D 3 Supplement, Potassium Iodide, Biotin, and Sodium Selenite. 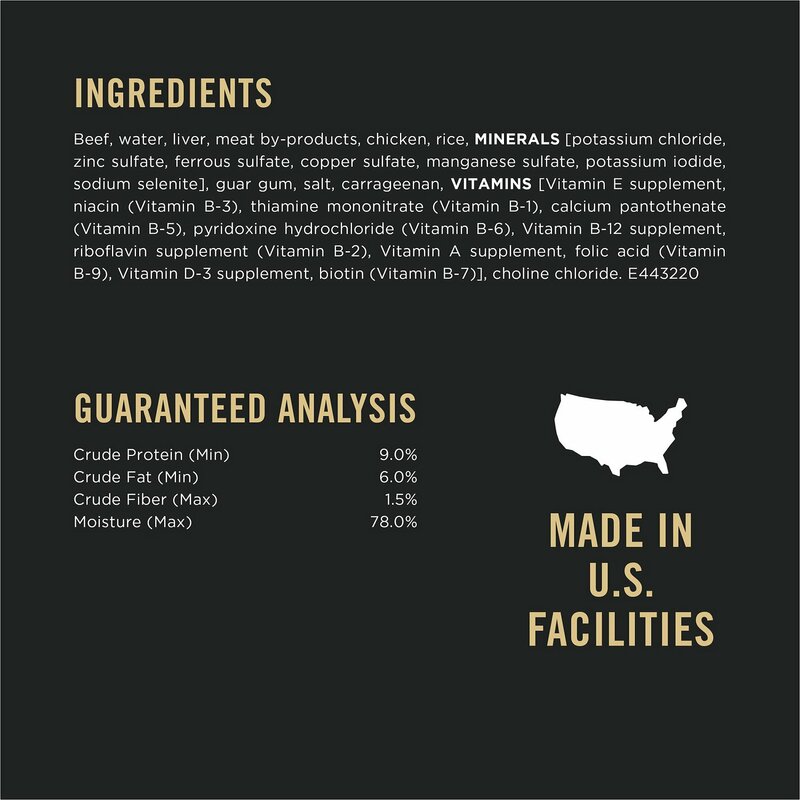 Taste Without Compromise Real chicken, beef, lamb or salmon is the #1 ingredient in all dry formulas. Sensational Mealtime Experience Crunchy kibble plus tender, meaty pieces provide outstanding taste and a texture dogs love. Real chicken is the #1 ingredient, and this formula includes rich antioxidants to help nourish a developing immune system and DHA for brain and vision development. Real poultry, meat or fish is the #1 ingredient, and these formulas include prebiotic fiber to help promote digestive health. Real chicken is the #1 ingredient. This is a highly digestible formula designed for the unique needs of dogs seven years or older. This weight management formula provides an optimal protein-to-fat ratio to help maintain muscle mass during weight loss. This formula features small, bite-sized pieces for dogs who weigh up to 20 pounds. 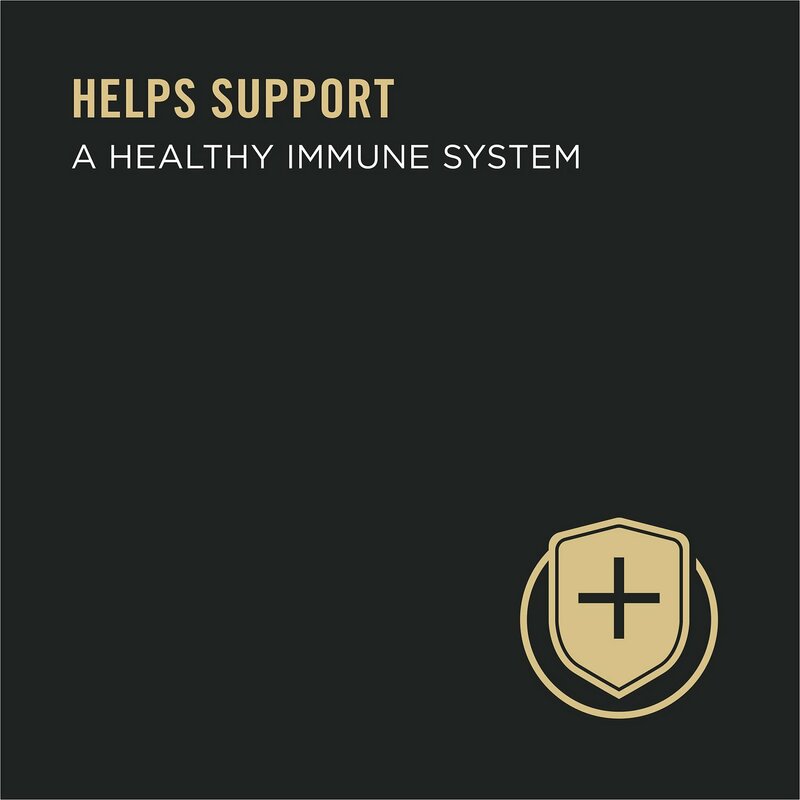 With glucosamine and EPA, an omega-3 fatty acid, this formula is made for joint health and mobility. Real meat is the #1 ingredient in all of the dry formulas to help promote total health. And every ingredient that follows is carefully chosen for a specific purpose. 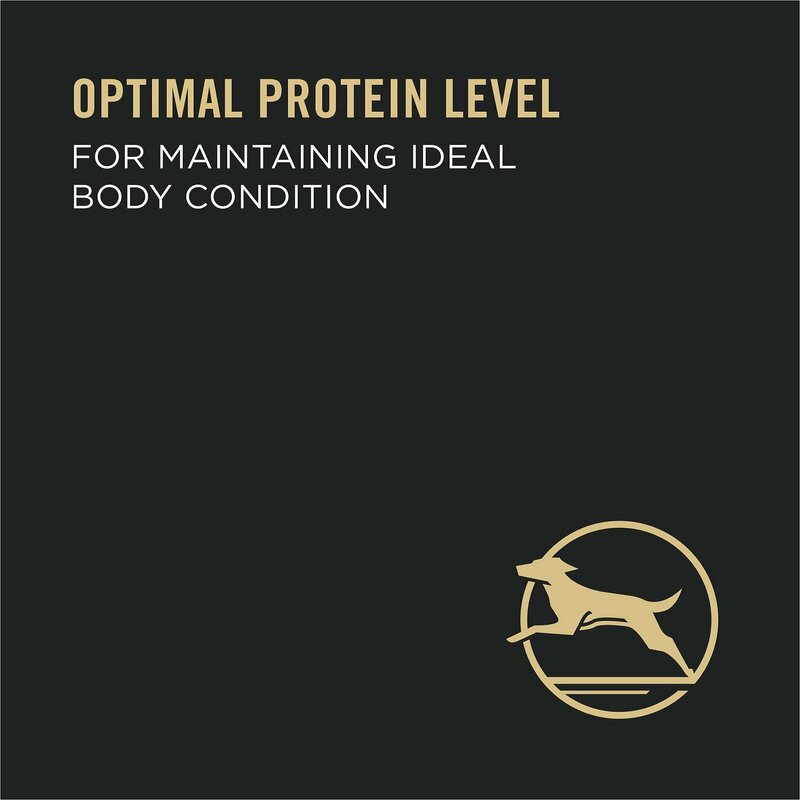 Plus, each dry formula is tailored to provide the optimal protein-to-fat ratio to help dogs maintain their ideal body condition. Purina Pro Plan offers a variety of dry formulas across five distinct nutritional platforms: Savor, Bright Mind, Natural, Focus and Sport. Each helps meet the unique needs of dogs based on their taste preferences, age, dietary considerations or activity, and lifestyle. Advanced nutrition is the result of 85+ years of Purina research, and is backed by over 400 scientists, including nutritionists, veterinarians and behaviorists. Together, they strive to give your dog the nutrition he needs to be his very best. 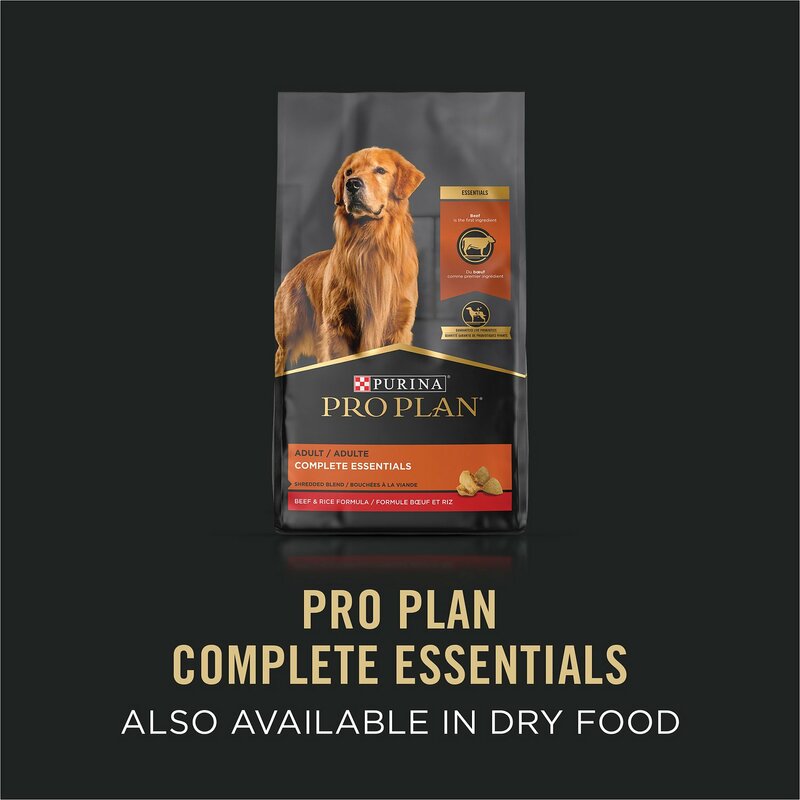 Purina Pro Plan is the food of choice by competitors and champions nationwide, including the last 10 Westminster Best in Show Champions and 96 out of 100 AKC All Breed Champions. Purina is trusted and recommended by hundreds of veterinarians, breeders and rescues nationwide. They have a relentless focus on nutrition, quality and safety, and their products are backed by more than 500 scientists, including nutritionists, behaviorists and veterinarians. Through passionate expertise, they create extraordinary products for your pet's total health and wellness. This goes over my Purina Pro-Plan Sport Kibble for my 80 lb monster! He loves it! And I love Chewy for incredibly fast service! This is food is the only type of soft canned food our doodle devours. I give it to him in the morning he normally picks at all other bands. But the Beef and Rice entree he loves. We changed to this food (both dry and can) for our wire fox terrier. He loves it and can't wait to have his food. He is normally a picky eater, but dives in for this. I ordered this food hoping that my picky eaters would eat it. They love it and there is no delay while they decide whether to eat or walk away. The cans were packaged beautifully and had no dents. A friend had recommended Chewy as a possible source for my dog food supplies. She did not steer me wrong. I bought Pro Plan dog food when my dog reached her adult age she not only likes the Beef & Rich Entrée she also likes the Turkey & Sweet Potato, the Chicken & Rice. My dog was very sick recently and lost interest in Beneful. 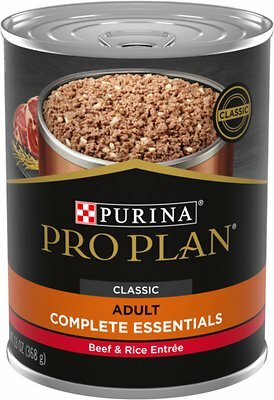 I prefer Purina dog food, so I tried Pro Plan beef and rice. She loved it immediately and continues to eat it with enthusiasm! Thank you Purina! I am really concerned about my dog health. Riely loves it. I recommend this dog food. My Whippets can be very picky and have gone thru several brands and have found purina pro plan works for them. Nice simple basic dog food ! Our dog loves it ! We use this food 2x a week to change from her regular food. We put it on top of dry food !